One hundred percent of this very special throw was created from wool from my flock. 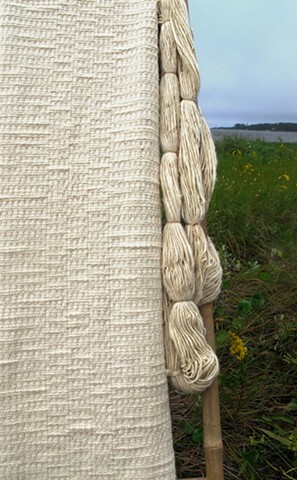 The warp is two-ply super soft luxurious Merino wool, and all of the weft is Romney wool handspun by me. I know it's expensive, but this is such a nice, soft, and heavy throw, that you will appreciate most once it is resting on your lap.